For a week in February 2015, American Forests hosted an extraordinary journey into the winter wonderland of Yellowstone National Park. During that time, 20 American Forests friends and supporters explored Yellowstone as few people do, with behind-the-scenes access and excursions led by prominent researchers, park rangers and guides whose lives revolve around the splendor of Yellowstone National Park. 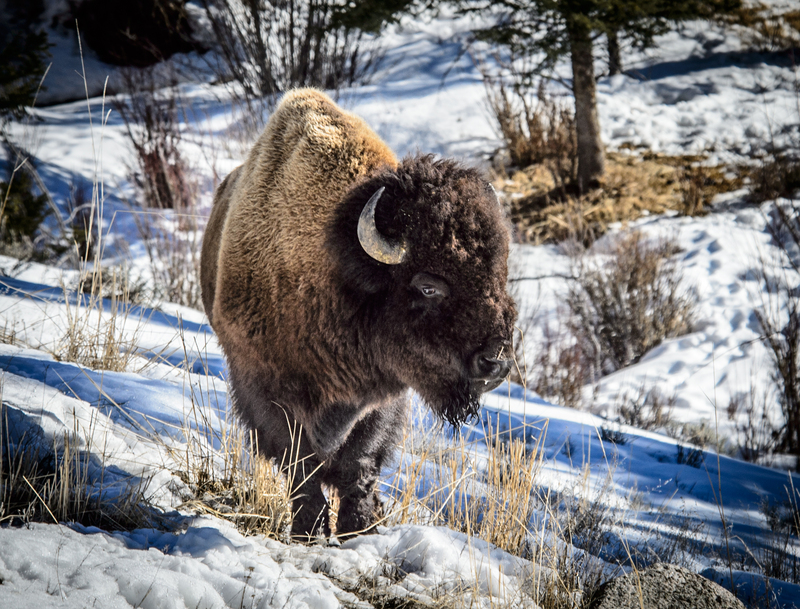 While our Forest Adventure participants took many amazing photos of Yellowstone’s picturesque landscapes and fascinating wildlife, throughout the trip our Artist-in-Residence, Chuck Fazio, captured many stunning photos of this iconic wilderness and the animals that call it home. Join us on our next excursion! Whether your passion lies in ecology or biology, or simply enjoying beautiful landscapes, American Forests’ Forest Adventures will leave you inspired and in awe of truly amazing destinations. Join us on our next once-in-a-lifetime adventure! To stay aware of any upcoming events, sign up for email updates or follow us on Facebook or Twitter.